Some people have wondered if there’s a secret to winning these Instant Win Games. The answer to this question is a little tricky. The best thing to compare these games to would be a slot machine. It may look like luck on the surface, but there’s a little more to it than that. Slot winnings are largely based on luck, but statistics have something to do it too. People who know what they’re doing know the best times of day to hit slot machines, and develop strategies around that. You can do essentially the same thing with Instant Win Games. But here’s the thing — this won’t give you a guaranteed win. It’ll just increase your chances. It isn’t a magical way to win prize money. It just makes sure that the odds are a little more in your favor than they were before. With such great prizes, that’s still a good deal. 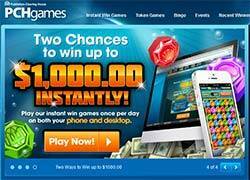 You can win all kinds of prizes from Instant Win Games. You can win money, trips, or smaller prizes like gift certificates. If you experiment with these contests, you might wind up winning multiple fantastic prizes. Many people who use strategies do. Figure out the best time to day to play Instant Win Games, and make sure you play them that way as often as you can. Soon, you’ll start to see real results. If you learn to tip the odds in your favor, you’ll be able to win not just one, but multiple prizes on a regular basis. 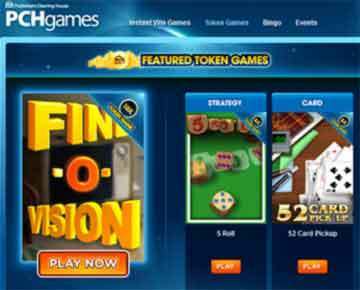 Here’s a list of website with Instant Win Games… Good Luck! « Is A Purchase Required to Enter PCH Sweepstakes? I Lorian WilliamsWould love to be the $10,000.00 Winner of Gwy.6900 Dec.23rd (Winner’s Choice Prize) Early Look Prize Event. No secret to winning just enter. So would love to win the Big Money. It is a dream but would love to have it come true! Lets make it real. Make me the winner and I will dance away happy and rich!!! Is a chance to win. I do hope everyone will have that chance to be a winner too! to live with respect. Good luck to everyone! 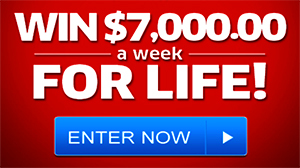 I WOULD LOVE TO WIN THE $5,000.00 A WEEK “FOREVER PRIZE” WHAT A BLESSING THAT WOULD BE!!!! I WOULD PROBABLY BURST OUT IN TEARS, OF RELIEF AND JOY, I COULD HELP FAMILIES IN NEED NOT JUST MYSELF, THANK YOU, JULIETTE, I POKE YOU ON FACEBOOK LOL, SO I’M POKING YOU AGAIN, LOL :) ♡♡♡♡♡LOVE,LIVE,LAUGH…..